Dani Keller wakes up one Sunday morning to find her husband Ian inexplicably has vanished. With virtually no clues to go on and a foggy memory of the night before, Dani does everything she can to search for Ian, and help the police. The expanded family of both Ian and Dani complicate things though–and since Dani and Ian were each other’s second spouses, bad blood was definitely there. Dani recalls her and Ian’s past, and as her stressed mind turns on her, begins to wonder if what she thought was happiness was really that after all. The idea of this book was intriguing, but it kind of fell apart in reality. This novel contained a whole lot of exposition and telling, with hardly any doing. The story of Dani and Ian’s pasts are told in flashbacks in between the hectic search for Ian in the present. Dani is the narrator of the story and thus we get to know her, but much more developed was Ian’s character. Dani left an abusive marriage and cheated on her first husband with Ian, and she thought she’d found her soulmate, until she shamefully came to the realization that you can never can really know someone you’re in a relationship with. Needless to say, Dani and Ian both have a lot of baggage, and no matter how much you may need and want you, you never really can start over. The book didn’t really have a lot of twists and turns, just a couple of clues sprinkled here and there that Dani finds and follows up on. It’s interesting to watch her do this as sleepless nights and worry begin to take a tool on her body and mind and her thoughts become more and more erratic. The end was very, very sudden and I wish, for all the waiting I did for it, it could have been something more explosive. But real life isn’t like that…your life is lived in the quiet, mundane moments. 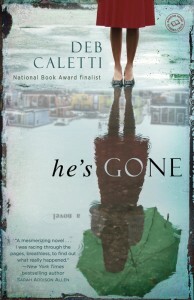 Deb Caletti is an award-winning author and a National Book Award finalist whose books—Honey, Baby, Sweetheart; The Queen of Everything; The Secret Life of Prince Charming—are published and translated worldwide. She lives with her family in Seattle. 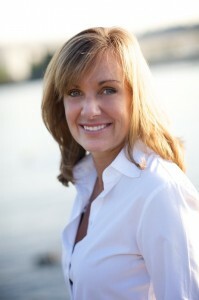 For more about Deb Caletti and her work, “Like” her on Facebook, follow her on Twitter, or visit her website at debcaletti.com. One commenter will win a hard copy of the book (US/Canada Only). Posted on June 13, 2013, in book tour, books, free, Giveaway, reading, review. Bookmark the permalink. 7 Comments. It’s too bad the book didn’t live up to your expectations. I have the book on hold at my library, although I’m 21st on the list, so I’m curious if I’ll feel the same way. “life is lived in the quiet, mundane moments” This is so true! I’m glad that you enjoyed this one overall. Thanks for being on the tour. As a former SEattle resident – I would love to read this one. I would still like to read this myself to make my own mind up how I like it but I did like your review for it’s honesty. I loved “Stay” by Deb Caletti, but I saw a few mixed reviews for it as well. I’m thinking I will still love this one.